With 17 weeks in the books, the NFL has entered its second season. 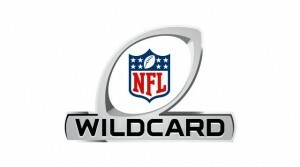 Out of the League’s 32 teams, 12 will compete for the chance to head to the Super Bowl. Did your team make the cut? If not who is your bet for the Super Bowl? During the course of the season, we selected the winners of each of the week’s games using social media buzz collected using Lithium Social Media Monitoring and a series of formulas (click here for full methodology). While this methodology might sound harebrained, it wrapped up the regular season with a 137-111-1 mark, and often matched a friend of mine who was picking the games against the pick. For each of these friends, the person with the top pick tally would receive $100 for a charity of their choice with the winner being my pal Shelly Kramer who notched 13 of 16 games correctly in Week 16. For the first week of the playoffs, I decided to go with the picks in a vacuum so if you would like to pick along, drop your selections in the comments below. Who do you think will have the chops to take the games this weekend? Would love to hear in the comments below. Disclosure: I am a Ravens fan and am excited to see the last ride of Ray Lewis, but you should enjoy this video as well. Note many of these hits are probably illegal in today’s NFL.